This was a REALLY cute movie. Maybe because I totally related to Julie in the film (the modern Julia Child kind of). Not so much the part that she's cooking her way through Julia Child's Cookbook and becomes a complete nut about it, but all her cooking and hilarious kitchen mishaps. I could mildly sympathize with her. She ruins meals. I ruin meals. (and bread) Her husband consoles her when she's completely dramatic about destroying a recipe and so does mine. Maybe I should cook my way through the Southern Living Cookbook (my fav) and blog about it. No, probably not. It's a good little flick if you love to cook. Strangely enough, Jeremy was bored and fell asleep during it. But, then again, I will be watching some "shoot'em up" boy movie tonight that I will hate. It all evens out. Your Pioneer Woman dinner was SOOOO awesome- you are my inspiration! I loved the gingerbread house pics of your dad- classic. 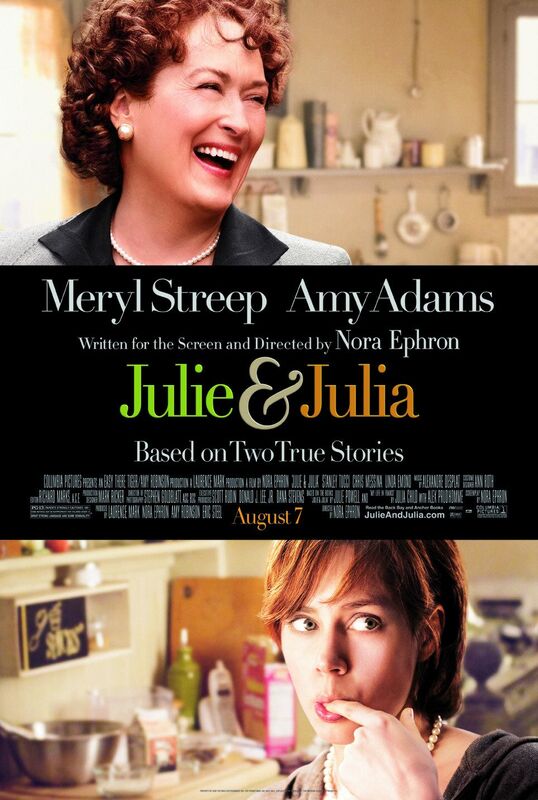 I have not seen Julie and Julia, but my mom loved it as well. Hope you guys are staying warm!